What Is Craquelure In A Painting? | The Frame Gallery. For framing, art, sculpture & gifts. Craquelure is a common sight in many paintings, of any age. It can easily be seen on the surface of artworks, as a network or pattern of fine cracks. As a painting ages, so do the paint layers. This ageing causes the medium to shrink, leading to the maze of lines across the painting. Craquelure occurs in paintings of most types of paint, acrylic, egg tempera and oil. Understandably, the appearance of craquelure causes concerns for any art collector, from both a structural and aesthetic perspective. 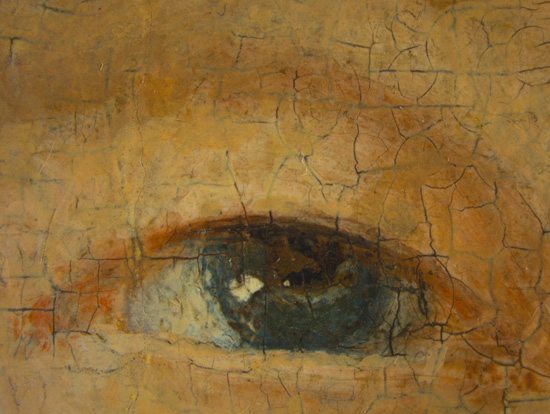 As most paintings will slowly develop it, disfigurement is not commonly a major concern. In some cases, however, craquelure can be very evident and not just from a close up view of the painting’s surface. With regards to any instability that is caused, unlike cracking, it is rare for craquelure to produce significant deterioration in paintings. If any destabilisation occurs, it can be seen in the lifting of the paint layer or if dirt is trapped in the cracks. Where paint has become loose, these areas can be stabilised using a preservation pencil to re-adhere the flaking paint. A conditioning process is also used to treat the cracked areas to minimise the risk of future lifting. While it is a normal condition to develop in aged paintings, it is worth highlighting two types of craquelure that are not caused by the ageing process. The first is caused by poor technique. If a layer of quick-drying paint is applied over a slow-drying paint, it causes what has been previously called ‘youth’ craquelure. The second is attributed to an incorrect choice of material, in the use of bitumen or asphaltum, and creates wide depressions in the paint layer, known as ‘alligatoring’. Although craquelure is a by-product of the nature of painting, is it not inevitable that it will produce significant damage. If any harm does occur however, conservation treatments are available. If you have any questions about craquelure, or have some artwork that requires some TLC, please give The Gallery a call on 01256 701082, and we’ll be able to help.